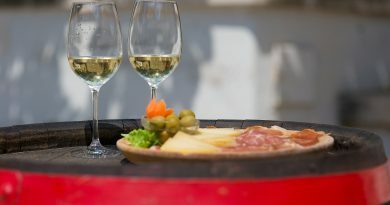 Visit Krk once, you’ll most definitely come back. There’s something so fascinating about Krk and experiencing all those new memories that you’ll simply feel the urge to return. One of the many things that you can experience are cycling trails. There are two on the island (Prniba and Malinska-Punat) and they are both next to the main road. This is excellent because you can explore most of the island safely and without the fear of other vehicles. Malinska has reconstructed Krk-Malinska route that is separated with greenbelt. 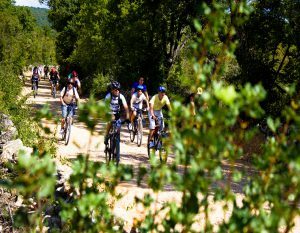 Of course, for those that don’t feel like that is enough, there are almost 300 km hiking trails available that can be used for cycling. Our recommendation is to use those trails because they offer most exquisite views. There aren’t many islands with such fulfilled historical background like the one that the island of Krk has, so don’t miss ‘Stazu glagoljice’ (Glagolitic path) on which you can follow letters in the Glagolitic alphabet and, in the meantime, explore surroundings. Through cycling, locals found a way to prolong tourist season. 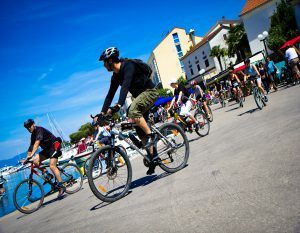 Because of that, there are few events during the whole year that are connected to cycling, such as ‘Proljeće na kotačima’ (Spring on wheels) and ‘Volim jesen- Bodul bike’ (I love autumn- Bodul bike). Pick your own routes depending on your physical abilities. Spectacular view, wild nature, fresh air and good company- sounds like a good recipe for relaxation. Step out of your comfort zone, you’ll fall in love.